In response to mining industry needs, Metso is introducing a new generation of fine classification technologies, the Metso MHCTM Series Hydrocyclone and the Metso UltraFine Screen. With this new offering, Metso is making it easier for customers to adopt next-generation, fine classification technologies to improve efficiency and profitability. Both products position Metso as a unique supplier of fine classification technologies capable of optimizing customer applications. 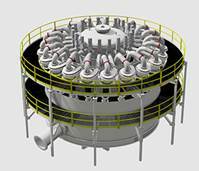 Designed specifically for grinding circuit classification duties, the new MHCTM Series Hydrocyclone represents the next generation of hydrocyclones. 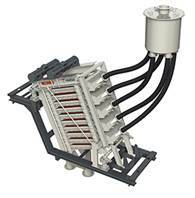 Developed in collaboration with Metso's world-class simulation and modeling scientists, the design focuses on optimized process performance, superior wear component design, and improved ease of maintenance. Caption: The new Metso MHCTM Series Hydrocyclone has been specifically designed for grinding circuit classification duties. These new hydrocyclones are ideal for classification duties ranging from primary grinding to fine regrinding applications across the full range of mineral types. The new product improves Metso's existing equipment offering, which now covers the supply of entire grinding circuit systems to our customers. Horizontal and vertical grinding mills, instrumentation and controls, mill discharge pumps, slurry hose products, and now classification hydrocyclones are all available in Metso's offering. Caption: The new Metso UltraFine Screen provides one of the most accurate and cost-effective separation technologies through reduced energy and water consumption. In the area of wet fine screening classification, the new Metso UltraFine Screen provides one of the most accurate and cost-effective separation technologies through reduced energy and water consumption. It directly classifies particles by size via the physical dimensions of the screening media aperture. The improved separation efficiency and resulting reductions in material handling and comminution energy lead to substantial savings in the overall operating costs. Additionally, screening performance is less influenced by plant operational variability and can positively impact downstream recovery processes. Metso's solution broadens the application of fine wet screening technologies in the industry. Thanks to the innovative design, with several patents pending, the Metso UltraFine screening technology is more accessible to various customers on a wider scale. The reduction in the overall capital expenditure needed and in the operating costs allows customers to quickly pay back the investment, leading to higher profitability. Relative to other fine screen technologies, Metso's UltraFine Screen doubles the screening area of a single machine. This is achieved through its modular design consisting of up to ten individual screen decks nested together into a single vibrating assembly along with a feed distribution system to ensure accurate and even feed distribution across the width of each individual screen deck. This reduces the space and infrastructure required for integration into the plant.